"Lady Luck will show the way, win the game or here you'll stay." We're back on DVD and with the trusty Doctor Who - Lost In Time set for the final episode of this story, and indeed it's our last use of Lost in Time for the Hartnell era. 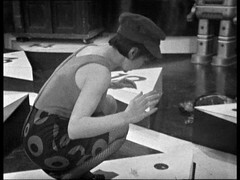 Dodo & Steven play schoolboy Cyril at a version of hopscotch involving numbered stepping stones surrounded by an electrified floor. Cyril's cheating results in them being penalised and he winning the game. 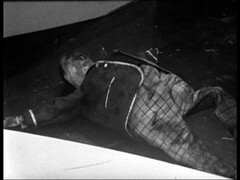 However Cyril slips from a stone celebrating and is killed. 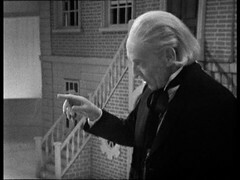 The Doctor reaches the penultimate move in his game and is poised to win becoming visible again. 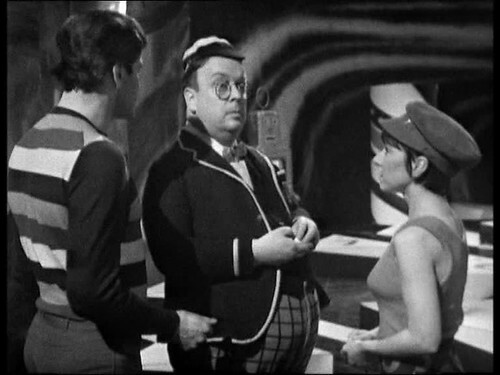 He goes to leave with Steven & Dodo but the Tardis is immobilised by the Toymaker who won't let them leave until the Doctor completes the game. However the Doctor knows that completing the game and defeating the Toymaker will destroy the Toymaker's realm. 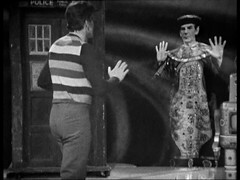 A chance remark from Steven about not being able to talk their way out of the situation gives The Doctor the solution: he impersonated the Toymaker's voice and orders the Trilogic game to advance to the final move. Celebrating with a packet of sweets Dodo obtained from Cyril, The Doctor hurts a tooth. A game of two halves this episode: The hopscotch game works well and the Trilogic Game interludes work much better on screen than on sound, both of which make me wonder how much better the preceding three episodes might have worked with their pictures. The visuals here shed a lot of light on some things: The Robots, which I've seen in several publicity photos and couldn't work out what role they played in the story, have a counter in their chest that shows Steven and Dodo how many moves the Doctor has left! 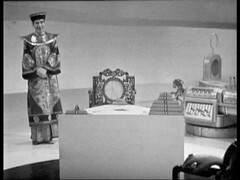 We catch a brief glimpse of the Toymaker's Dolls house and the space he has set aside for Steven and Dodo, both of which look superb. Unfortunately we can also see the Hopscotch game room and the Toymaker's control area both of which look like television studios and are shouting Play School set at me! To make matters worse you can see that the Tardis prop is obviously mounted on castors! 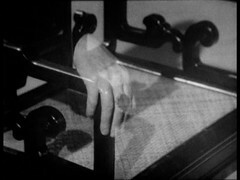 However there's some great missing effects here with the illusionary Toymaker and the Doctor's disembodied hand! And it would be reminisce of me not to point out how bad Dodo's costume is now we can see it.... though she does become the first character in Doctor Who to wear fishnets! After Steven, Dodo & The Doctor conquer their respective challenges the episode sags a bit as the travellers try to find out why they can't leave. DOCTOR: If we destroy the Toymaker, we destroy this world. STEVEN: Well, is that bad? DODO: Surely, that's a good thing. This is really a very sad place. DOCTOR: I don't think neither of you understand. As the games are over, and won by us, everything outside the Tardis disappears. And if we are there, we disappear also. DODO: But we have won and it hasn't happened yet. DOCTOR: But it will, my dear, the moment I go out there and make the final move of the trilogic game. DOCTOR: Oh, he won't be. DOCTOR: If the Toymaker loses the game, his world will vanish, but he has the power to build a new one. DOCTOR: The Toymaker is immortal. He's lasted for thousands of years. Very occasionally, of course, he loses a game, and then he has to pay the price. DOCTOR: Yes, but he himself is not destroyed. He goes on forever. STEVEN: So we can't leave. DOCTOR: There must be a way. DODO: We'll never see him again, will we, Doctor? DOCTOR: Oh, my dear, don't talk too soon. The mind is indestructible. So is the Toymaker. STEVEN: What, you mean he can never be destroyed? DODO: But you defeated him. DOCTOR: Yes, just at this moment, but there will be other meetings in an other time. DODO: Then your battle with him will never end. DOCTOR: Yes, you're quite right, my dear, but anyway, let us cheer up. After all we did win the games. The kind of power The Toymaker has and excises puts him in the same league as some of the godlike beings in Doctor Who: The Animus, The Great Intelligence, The Nestene Consciousness, Omega, The Black & White Guardians, The Mara, The Eternals, Rassilon, The Gods of Ragnarök & Fenric. Indeed there's several groups there to which he could belong, several of which like amusing themselves with games: The quest for The Key to Time might as well be one big game, and the Eternals race in Enlightenment certainly is. See also The Game of Rassilon in The Five Doctors, designed to trap the greedy and power hungry in his race, the circus Entertainment in Greatest Show In the Galaxy and the overlong chess match between the Doctor & Fenric in Silver Nemesis and the Curse of Fenric. Games, tests and traps, although set by more mundane beings, also play a part in Death to the Daleks, Pyramids of Mars and The Hand of Fear. 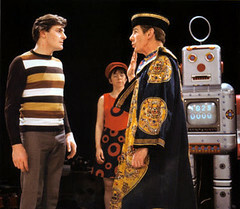 The nearest thing to the Celestial Toymaker story wise in Doctor Who is the Mind Robber, set in a fantasy realm albeit with a displaced human in control. My refrain right the way through this story has been "would be better if we could see what's going on" and I think that sums the whole thing up nicely. There's some nice inventive ideas here, which can be seen by how often Doctor Who uses similar themes, but a lot of them are very visual. Equally the one episode we do have isn't the most exciting visually and has some limits. Incredibly the run of five episodes from here through the four episodes of the Gunfighters is the most number of consecutive episodes present in the BBC archives from Seasons 3, 4 or 5 of the program! As we shall see that's now not true! 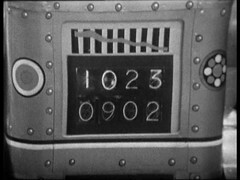 There's now two consecutive episodes of The Underwater Menace, the second and third, which feature Peter Stephens who plays Cyril in this story. while season 5 has a four episode run, the entirety of the Tomb of the Cybermen, and a three episode run, the last three episodes of the Ice Warriors, plus the final episode, Wheel in Space, marks the starts of an Eleven episode run into Season 6 through The Dominators & The Mind Robber. Season 5 now has an ELEVEN episode run in the middle of it: the aforementioned last three episodes of The Ice Warriors, all six episodes of The Enemy of the World and the first two episodes of Web of Fear. This is now the longest run of existing episodes in decimated seasons 3-5. 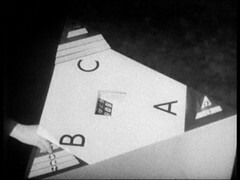 Season Six contains 14 consecutive episodes: The last four of the Invasion, The four episode Krotons and six episode Seeds of Death. 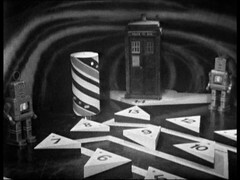 For completeness I should mention the ten consecutive episodes of the War Games at the end Season 6, but that marks the point from which all episodes of Doctor Who are known to exist, and the question then becomes what format do we hold them in and are they in colour........ but we'll talk about that much later. The Celestial Toymaker was novelised by Script Editor Gerry Davis and Alison Bingeman in 1985.